Amsterdam, March 1st 2018. 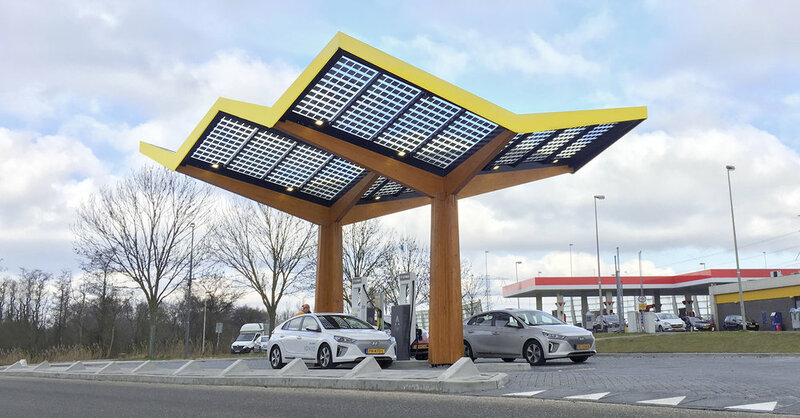 Today Dutch charging company Fastned unveils its new generation of fast charging stations. At the new stations electric vehicles can charge at up to 350 kW, that is up to 100 times faster than at home. Thanks to their modular design, the new stations can also be easily extended. The first 350 kW station at service area ‘De Watering’ is located on the A8 highway near Amsterdam.